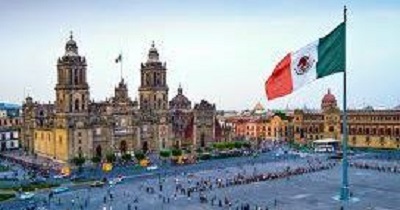 The 16th Annual IPF/NAPF North American Regional Powerlifting Championships will be held on August 1 to August 4, 2018 at the Sevilla Palace Hotel along Reforma Avenue in beautiful downtown Mexico City, Mexico. Please find below the official invitation. Please take note of the preliminary and final nomination deadlines. 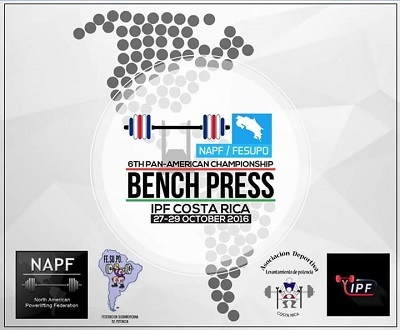 The 7th IPF/NAPF/FESUPO Pan-American Regional Bench Press Championships will take place on October 25-27, 2018 in San Jose, Costa Rica. Please find below the official invitation for the competition in both Spanish and English. Thank you very much and I look forward to seeing everyone in San Jose! The 12th Annual IPF / NAPF North American Regional Bench Press Championships will take place on October 26 â€“ 28 in Hamilton, Toronto, Ontario, Canada. Please find below the official invitation for the competition. Please take note of the Preliminary Deadline is August 26 2017 and the Final Nomination Deadline is October 5, 2017. Thank you very much and I look forward to seeing you in Hamilton, Ontario, Canada! The 16th Annual NAPF/FESUPO Pan-American Powerlifting Championships and NAPF North American Powerlifting Championship will take place on July 3 â€“ 8, 2017, in Orlando, Florida, USA. Please find below the official invitation for the competition. Please take note of the Preliminary Nomination Deadline of May 5, 2017 and the Final Nomination Deadline of June 12, 2017. Thank you very much and I look forward to seeing everyone in Orlando! 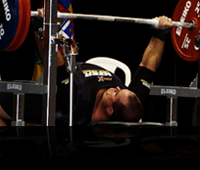 The 6th Annual IPF / NAPF Pan-American Regional Bench Press Championships will take place on October 27 â€“ 29 in San Jose, Costa Rica. Please find below the official invitation for the competition. Please take note of the Preliminary Deadline September 18, 2016 and the Final Deadline of October 1, 2016. 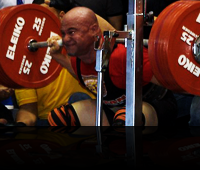 The 10th Annual IPF / NAPF North American Regional Bench Press Championships will take place on November 19 â€“ 22, 2015, at the Ponce Plaza Hotel and Casino in Ponce, Puerto Rico. Please find below the official invitation for the competition. Please take note of the Preliminary Deadline of October 1, 2015 and the Final Deadline of November 1, 2015. Thank you very much and I look forward to seeing everyone in Ponce! The 13th Annual IPF/NAPF North American Regional Powerlifting Championships will take place on July 7-12, 2015 at the Heritage Inn Hotel, in Moose Jaw, Saskatchewan, Canada Please find below the competition invitation and all details for the championship. Questions, please contact me at: rhk@verizon.net or 954.790.2249. Please find attached the IPF Newsletter for July 2015 containing important updates concerning IOC Recognition. 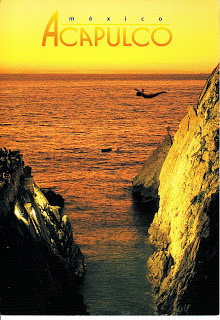 The 15th NAPF/FESUPO Pan-American Regional Championships will be held September 15-19, 2015 in Ribeiro Preto, Brazil. Questions, please contact me at either rhk@verizon.net or on my cell at: 954.790.2249. Please find enclosed the revised/updated Invitation to the North American Regional Championships that will be held in Moose Jaw, Canada. First, Mr. Ryan Stinn, the Championship Director, requested we convert the following costs to Canadian Dollars. The purpose of the costs being changed to the Canadian Dollars is the US Dollar may fluctuate up/down and to avoid any form of confusion when payments come due. Round Trip Transport to Hotel/Airport, per person: 50 CAD (Canadian Dollars). The cost for a one-way trip is 30 CAD (Canadian Dollars). Second matter, weâ€™ve created a database for the NAPF Classic/Raw Records. Mr. Ivan Cancel, the NAPF Records Registrar, shall populate the database and should have the records ready to go by May 15, 2015, if not sooner. Special thanks, in advance, go out to Mr. Cancel. Third, as a polite and gentle reminder, the Preliminary Deadline for nominations is May 21, 2015. Please be sure youâ€™re on time. As everyone knows, but the Preliminary ad Final Nomination Forms must be sent by the posted deadlines. Last item, if your member federation plans to nominate any referees for either the IPF Cat II or Cat I Examination, please send your request by NLT May 1, 2015. Please find attached the IPF Newsletter for January 2015 containing important updates concerning IOC Recognition. Please find enclosed the results for the 5th Annual Pan-American Regional Bench Press Championships which was held on November 20-23, 2014 at the Calinda Hotel in Acapulco, Mexico. This by far was our largest ever regional bench press championships. Special thanks go to the Gabriel Garcia and his staff for directing an excellent competition. We had a great deal of fun. My sincere congratulations go out to attending National Federations and their athletes for some impressive lifting. Next year's championship is scheduled for St. Croix, the US Virgin Islands. I look forward to seeing you there. The 5th Annual NAPF / FESUPO Pan-American Regional Bench Press Championships will take place on November 20-23, 2014 in Acapulco, Mexico. Please find enclosed all competition details. Questions, please contact me at: rhk@verizon.net or 954.790.2249. Special thanks go out to Tony Cardella, the NAPF Webmaster for building the database and to Ivan Cancel, the NAPF Records Registrar, for uploading the records. Thank you for your exceptional work. Please find attached the IPF Newsletter for October 2014 containing important updates on a newly signed VIP Sponsor. Please find attached the IPF Newsletter for September 2014 containing important updates. Please review. The 12th IPF North American Regional Powerlifting Championships and the 8th IPF/NAPF Caribbean Regional Championships will take place on July 8-13, 2014 at the Renaissance Hotel Carambola Beach Resort in St. Croix, US Virgin Islands. Please find enclosed all competition details. Questions, please contact me at: rhk@verizon.net or 954.790.2249. Please find attached the IPF Newsletter for January 2014 containing important updates to recognition by the International Olympic Committee. 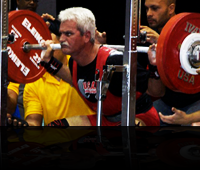 The 8th Annual IPF/NAPF North American Regional Powerlifting Championships will take place at the Deauville Beach Resort, Miami Beach, Florida on November 23 & 24, 2013. 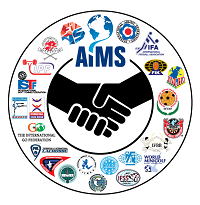 The following IPF Member Federations will take part this year â€“ British Virgin Islands, Costa Rica, Puerto Rico, Sweden, United States of America, and the US Virgin Islands. The 8th Annual IPF/NAPF North American Regional Bench Press Championships will take place at the Deauville Beach Resort in Miami, Florida, USA the weekend of November 22-24, 2013. Please find enclosed all competition details. The Deauville Hotel is an Oceanfront Hotel located directly on Miami Beach. Questions, please contact me at: rhk@verizon.net or 954.790.2249. Please find enclosed the final results for the Caribbean, North American and the Pan-American Championships held on July 1-6, 2013 at the Hyatt Hotel, in Orlando, Florida. The Championship was a splendid success with Ecuador winning both the Menâ€™s and Womenâ€™s Team titles for the Pan-American Championships. Also, I am going to send my congratulations to our newest IPF Officials â€“ Claire Keel, USA, IPF Category II, Michael Licciardi, USA, and Nestor Gregory, Puerto Rico, both receiving their IPF Category I credentials. Next yearâ€™s NAPF Championship will be held at the Renaissance Hotel, on the island of St. Croix. Please begin to prepare now. Brazil shall host the 2015 Pan-American Championships in the city of Ribeirao Preto - The same location as the 2009 IPF World Junior Championships. My sincere congratulations to all of the athletes, coaches and officials for coming to a very memorable championship this year â€“ Thank you! 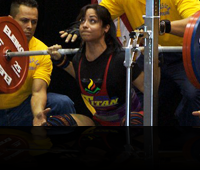 The 14th IPF/NAPF/FESUPO Pan-American Regional Powerlifting Championships and the 7th IPF/NAPF Caribbean Championships will take place on July 1-6, 2013 at the Hyatt Regency Hotel - Orlando International Airport in Orlando, Florida. Please find enclosed all competition details. Questions, please contact me at: rhk@verizon.net or 954.790.2249. The very best of success to all of the athletes!! 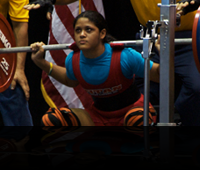 The 14th IPF/NAPF/FESUPO Pan-American Regional Powerlifting Championships and the 7th IPF/NAPF Caribbean Championships will take place on July 1 - 6, 2013 at the Hyatt Regency Hotel - Orlando International Airport in Orlando, Florida. Please find enclosed all competition details. Questions, please contact me at: rhk@verizon.net or 954.790.2249. 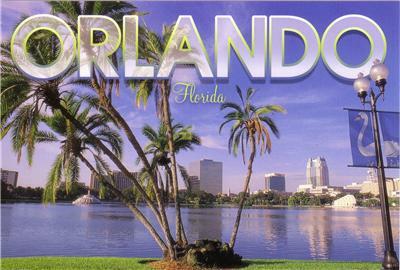 Thank you and I look forward to seeing everyone in Orlando! Please find attached the IPF Newsletter for January 2013 containing important updates pertaining to the World Games 2013 - Cali, Colombia. Fame was started in 2006. It includes a list of IPF Hall of Fame members and top-ranked powerlifters. Watch some of the NAPF videos on Youtube.